After launching from Wallops Island, Virginia, two days ago, the spacecraft arrived in the vicinity of the ISS in the early-morning hours of Monday, Nov. 19, 2018. 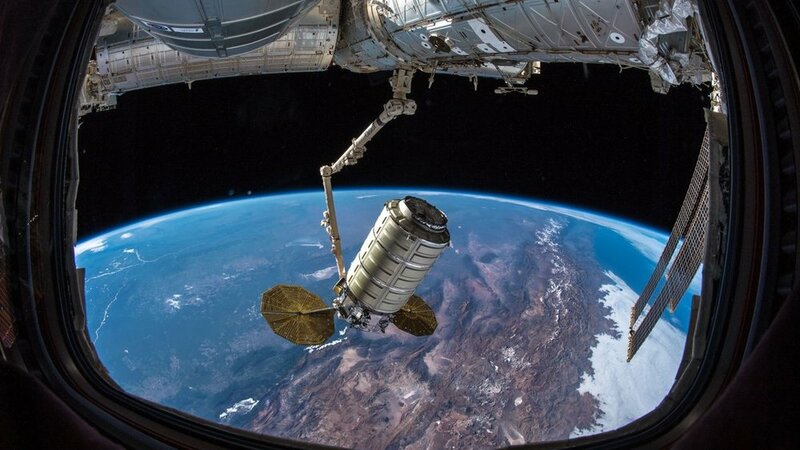 Once Cygnus was within 10 meters of the Destiny module, Expedition 57 Flight Engineer Serena Aunon-Chancellor controlled the 17.6-meter-long robotic Canadarm2 to grab the cargo freighter from its free-flight state. Capture was confirmed at 10:28 UTC. The NG-10 Cygnus was named in honor of former astronaut John Young, who flew during the Gemini, Apollo and early space shuttle eras and was NASA’s longest-serving astronaut having been part of the space agency from 1962 to 2004. He died Jan. 5, 2018, in Houston due to complications from pneumonia. He was 87. Aunon-Chancellor concurred with the accolades, adding her thanks to the multiple people and engineers on the ground who built and launched the commercial spacecraft. Using the robotic arm, Cygnus was positioned under the Earth-facing port of the Unity module. It was firmly attached at 12:31 UTC. Hatches between the spacecraft and space station are expected to be opened later today following leak checks. 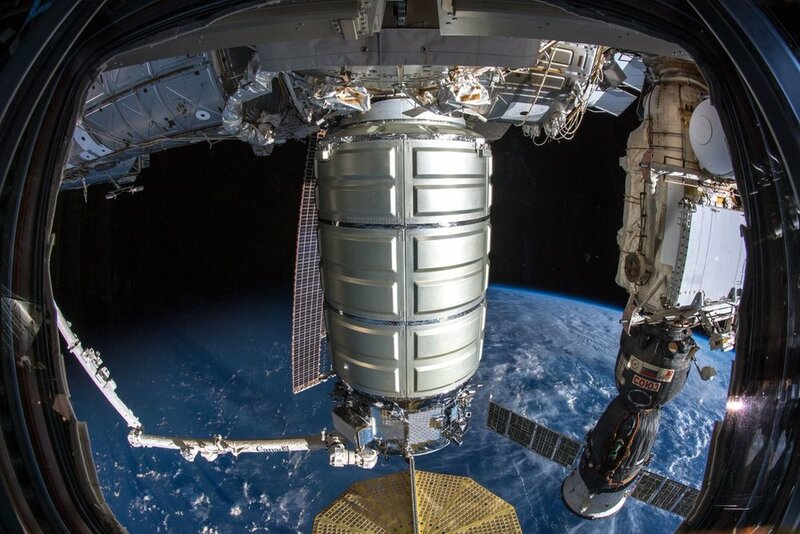 Cygnus brought to the space station some 3,400 kilograms of supplies and research. Experiments aboard include a sensory input in microgravity study, an investigation that will attempt to understand how cement solidifies in various gravity environments using a centrifuge, and research into how simulated-early-solar system dust reacts to a “zap” of electrical current before studying its resulting shape and texture, according to NASA. Cygnus also includes several CubeSats that will be deployed following the spacecrafts departure from the International Space Station at the end of the NG-10 mission. That is currently anticipated for mid-February 2019.